Haunted by equipment failures and the lack of monitors and cursed with an ear-splitting violin — it was not the most polished performance we have heard from “One For the Road”. We saw the band last evening in Staines at the famous Riverside Club. The shoddy offerings did not matter. The public still had a great time. And there was no lack of enthusiasm or energy from the musicians. Things started going wrong on their cover of Jace Everett’s “Bad Things” which is the theme from the HBO series True Blood. Maybe it was the curse of the vampire voodoo! After the first equipment glitch, the well-beloved Steve Earle, Tom Petty (Tim Potty) and JJ Cale ( JJJ Cale ) songs came thick and fast. With some accomplished vocals and reasonably polished guitar work. Gavin Jones is an is an exceptionally skillful violin player. But his sounds completely overshadowed the rest of the band. We have to admit that his blues-violin does add spice and garnish to the overall sound of the band — but the violin should be a condiment served selectively and considerately… not the main course! The rhythm and blues standard “Route 66” got folks up-and-dancing and the second half of the show seemed more promising — with less equipment problems. Our favourite songs included the Old Crow Medicine Show’s & Bob Dylan’s classic “Wagon Wheel.” This is where the violin became attractive and lyrical. The main vocal was certainly evocative of the smoke and grit of Dylan. But full marks must also go to other members of the band for providing excellent support vox. We also enjoyed the cover of Steve Earle’s “Copperhead Road” which was animated and emotional. 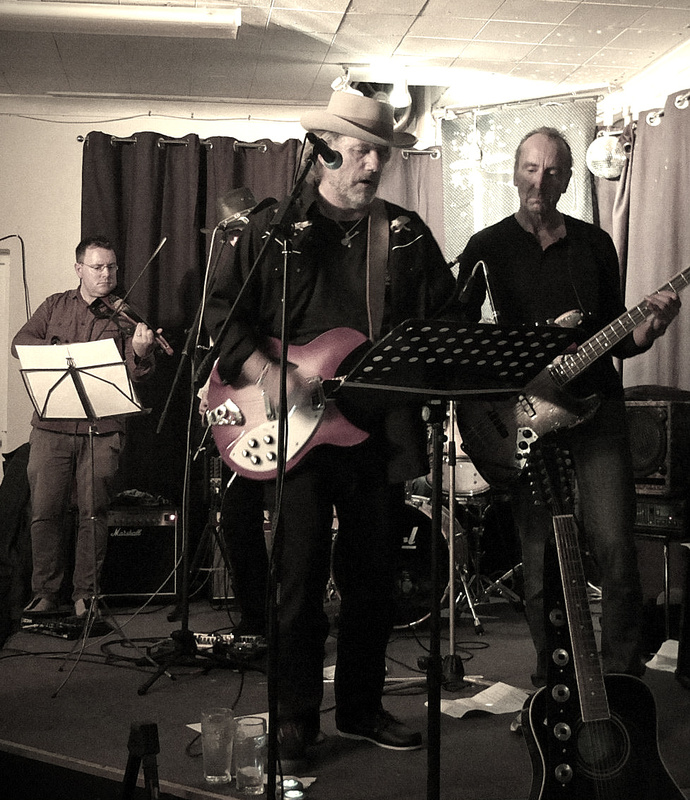 Refined country rock and Americana by one of the most popular bands in the area. The show was not poop or wrinkle free. But that’s how it goes when you make music live!